System Status is Easy Social Share Buttons’ tool that displays data for main server settings. These settings are very important for some of the features of Easy social Share Buttons. The tool displays list with settings and compares them with the recommended settings required for the optimal work of our plugin. It is important to mention that most of the recommended server options are required not only from ESSB but also for the smooth work of WordPress at all. System Status can be accessed under Easy Social Share Buttons tab at the WordPress Dashboard. When any of the server settings do not meet the minimum required for the flawless work of WordPress or Easy Social Share Buttons a note appears in the information table. Each note for change/fix needed also contain a link to WordPress documentation. There can be found detailed information about what makes that change/fix required and how to be made. Some of the notes link to articles that are not part of WordPress official documentation. We have selected instructions that are understandable for the wild area of users that do not have programming skills. System Status tool also displays info about connection status between the site and the social networks, about the theme and plugins installed. These all helps our support team to make an easy check up and to provide fast and adequate assistance. The last very important function of System Status is Share Counter Test. Most of the issues with counters’ update are related with connection issue between the site and the APIs of the social networks. This is why we developed this feature to ease Easy Social Share Buttons’ users. 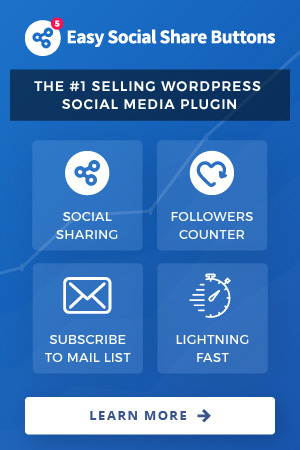 Share Counter Test helps to check the connection between the site and each social media without any special skills. Enter the URL of the page, where you suspect counter update issue and inspects the results. The message displayed as a result is a direct call back from each social media API and will help you locate the type of the issue in case there is such. If you can not get what the message mean, contact our support team at http://support.creoworx.com/ and we will assist with instructions.